A manual and encyclopaedic reference work on soilless food production. It seeks to be technically comprehensive, with nearly 400 photographs and detailed drawings on every form of hydroponics for temperate, tropical or cold climates. 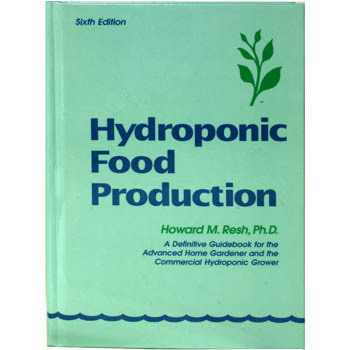 The volume should be suitable for both home gardeners and professional hydroponic growers. For those who really want to learn. Highly Recommended!